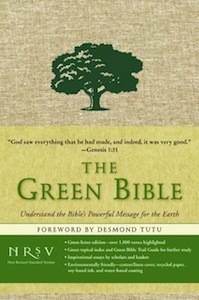 Read the scriptures anew, with The Green Bible as your guide. With its eco-friendly materials, Green Trail Guide, topical index and inspirational essays, discover how caring for the earth is not only a calling, but a lifestyle. The Green Bible will equip and encourage you to see God’s vision for creation and help you engage in the work of healing and sustaining it. This first Bible of its kind includes inspirational essays from key leaders such as N. T. Wright, Barbara Brown Taylor, Brian McLaren, Matthew Sleeth, Pope John Paul II, and Wendell Berry. As you read the scriptures anew, The Green Bible will help you see that caring for the earth is not only a calling, but a lifestyle. Co-written by Blessed Earth’s own A.J. Soboda, Introducing Evangelical Ecotheology calls Christians to meet contemporary ecological challenges with courage and hope. The book provides a biblical, theological, ecological, and historical rationale for earthcare as well as specific practices to engage both individuals and churches. Drawing from a variety of Christian traditions, the book promotes a spirit of hospitality, civility, honesty, and partnership. It includes a foreword by Bill McKibben and an afterword by Matthew Sleeth. Edited by one of Blessed Earth’s team, Blood Cries Out features a collection of thirteen essays by evangelical scholars on the importance of eco-theology to Christians. The book shines a light on the historical precedent for Pentecostal creation care, the foundation of earth stewardship in Charismatic theology, and current practices of environmentalism within the Pentecostal church. Includes a foreword by Steven Bouma-Prediger and an introduction by A.J. Swoboda. A.J. Swoboda’s thesis develops a Pentecostal ecological theology by utilizing key pneumatological themes that emerge from the Pentecostal tradition. It examines the salient Pentecostal and Charismatic voices that have stimulated ecotheology in the Pentecostal tradition and situates them within the broader context of Christian ecumenical ecotheologies. 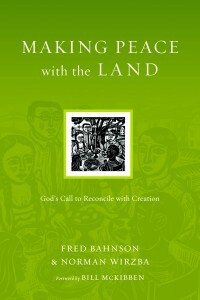 It offers a fresh theological approach to imagining and sustaining earth-friendly practice in the twenty-first century Pentecostal church. Recommended to anyone with an academic interest in the Pentecostal theology of creation care. In 2008, Pastor Craig Goodwin and his young family embarked on a year-long experiment to consume only what was local, used, homegrown, or homemade. 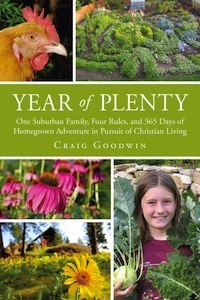 In Year of Plenty, Goodwin shares the winsome story of how an average suburban family stumbled onto the cultural cutting edge of locavores, backyard chickens, farmers markets, simple living, and going green. More than that, it is the timely tale of Christians exploring the intersections of faith, environment, and everyday life. This humorous yet profound book comes at just the right time for North American Christians, who are eager to engage the growing interest in the environmental movement and the quandaries of modern consumer culture. Imagine God recycling bottles and planting trees. 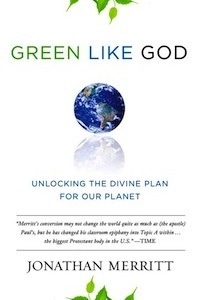 In this book by faith and culture writer Merritt, God is honored as the ultimate environmentalist who restores and loves His own creation. Evangelical Christians are less supportive of environmental causes than other groups, a statistic that Merritt attributes to misinformation and politics that hamper understanding. Through a compilation of scripture, statistics, and his own anecdotes, Merritt explains that creation care is a shared moral obligation—not a political viewpoint or a film by Al Gore. The world is God’s apologetic about Himself; it is the Christian’s job to maintain its beauty and complexity. 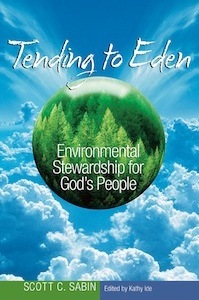 Tending to Eden: Environmental Stewardship for God’s People offers a global perspective on the theological foundation for caring for the earth and its people. Throughout the book, Plant With Purpose Executive Director Scott Sabin recounts his personal journey of helping the poor and the environment and brings the reader into poor rural communities in Haiti, Mexico, Tanzania, Burundi, the Dominican Republic, and Thailand through compelling language and eloquent story telling. The book also includes a creation care study guide which is perfect for a group Bible study. 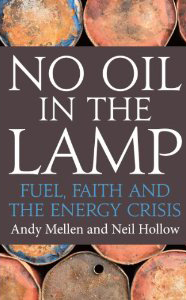 No Oil in the Lamp examines the current energy crisis through the lens of faith. Full of practical suggestions for greening homes and congregations, as well as a thorough exploration of alternative energy sources, this is a great resource for those interested in learning more about the world’s fuel sources. Authors Neil Hollow and Andy Mellen aim to raise awareness of ‘peak oil’ and its consequences to Christians, and to prepare the church in practical ways for the energy constraints of the future. Many of us have complicated relationships with food, feeling guilty when we indulge in anything less-than-healthy. In Eat With Joy, Rachel Marie Stone examines the current, complex issues in the food industry. 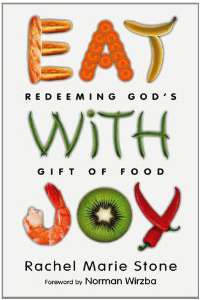 More importantly, she discusses the spiritual side of food: What did God intend for us to feel about food? How can we use food to better relate to Him? Prayers and recipes are included to illustrate the points of each chapter. Those who seek an improved relationship with their daily bread will rejoice in Eat With Joy. Highly recommended! Using personal stories of a lifetime’s journey of learning to care for creation, Leah Kostamo shares the tale of A Rocha, an organization dedicated to earth keeping. 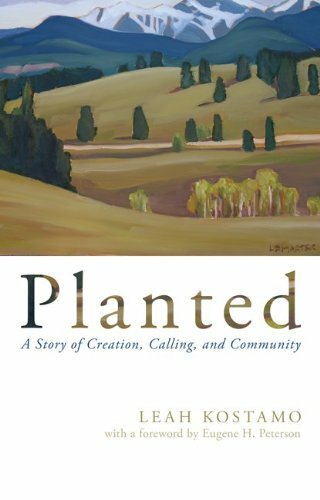 If you enjoyed reading Dr. Matthew Sleeth’s account of his own journey, Serve God, Save the Planet, you will also find much to love about Planted. The Man Who Planted Trees is a short fable about a French peasant who single-handedly reforests a region and brings life back to his once-desolate homeland. Elegantly written and illustrated with wood engravings by Michael McCurdy, this book is inspirational and deeply moving to children and adults alike. A true classic you’ll find yourself coming back to again and again. A beautifully illustrated picture book about a boy who dreams about ugly, polluted scenes and wakes up inspired to create a better, more beautiful future. A perfect read-aloud book to introduce children to themes of conservation and personal responsibility for the environment.